Hip-hop artist Kanye West, Rep. Joe Wilson, and tennis star Serena Williams did not meet to plan strategy before each staged his or her dustup on the national stage, sources insist. But their moments of dishonor came clustered together, as if featured on a schedule for a symposium on misbehavior. Wilson (R-S.C.) yelled “You lie!” at President Barack Obama during a joint session of Congress on Wednesday, Sept. 9. Serena Williams screamed at a lineswoman at the U.S. Open, “If I could, I would take this (expletive) ball and shove it down your (expletive) throat,” on Sunday, Sept. 13. 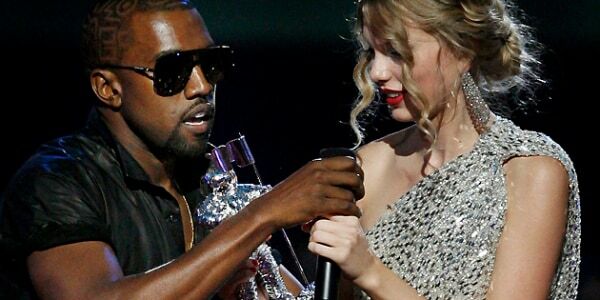 Also on that day, Kanye West interrupted Taylor Swift’s moment of glory at the MTV Video Music Awards. Were these random acts of churlishness? Or do they reflect the fact that we live in an angrier society, and these examples occurred in such close proximity that they helped to remind us of that fact? Event featured a touching Michael Jackson tribute, bizarre Kanye West behavior, and a truly weird performance by Lady Gaga. Indeed, as surprising as Williams’ tirade was, it was hardly unprecedented. John McEnroe often hurled invective at linespeople or chair umpires during his playing career. And even mild-mannered Roger Federer, considered a gentleman’s gentleman in sporting circles, was fined $1,500 at the U.S. Open for using profanity while arguing with a chair umpire. As for awards shows, it should be noted that outrageousness often is the norm. “The Oscars are generally the gold standard for award shows,” Boyd said. “We have certain expectations. We expect people to act classy. But the MTV Awards have always made a mockery of those rules. Anger, or narcissism?Harry Shearer, the noted actor, commentator and bass player for Spinal Tap, does see a common thread among the three incidents. But, he says, it isn’t about an angrier society. “I’m not sure I would connect it to anger as much as narcissism,” Shearer said. “In the era of reality TV, everyone knows if they misbehave, they’ll go viral. There is a certain number of people who just can’t resist the temptation. From David Letterman’s bizarre confession to Jon and Kate’s divorce to Tiger Woods’ spectacular crash. Shearer was in England when the Joe Wilson heckle occurred. He said the British seemed to have a difficult time understanding what the fuss was all about, since members of Parliament routinely trash the Prime Minister in person. As for the other two incidents, Shearer said the fact that Serena Williams is a woman had much to do with the backlash. “I think that was the shocker,” he said. “When TV brings home the reality that women swear just like guys, there’s a sense of, ‘Oh no, that can’t be. They’re so dainty and fresh as springtime.’ There are some remaining stereotypes about the sexes, and that totally violated it. The three incidents could be coincidental. Yet they could also be the byproduct of an anxious America, said Jennifer Lerner, a professor of public policy and management at Harvard. She is the director and co-founder of Harvard’s Laboratory for Decision Science, which draws upon psychology, economics and neuroscience to study human judgment and decision-making. “Right now things are uncertain in the country due to the economic crisis and the Afghanistan and Iraq problems,” Lerner said. “When people feel uncertain, it tends to induce chronic fear/anxiety and pessimistic risk estimates. In the cases of Wilson and Williams then, perhaps their releases were satisfying, even if many frowned on them. Judging by his mea culpa on Jay Leno’s show, West’s might have been merely confounding to him and society. Count Jonah Goldberg, op-ed columnist for the Los Angeles Times, among those who believe the three events are completely unrelated. “I’m not too convinced there’s a common thread there,” he said. “It seems to me as tenuous as celebrities dying in threes. “Part of the problem is trying to figure out what the unifying theme would be. Joe Wilson yelled at Obama because he was fed up with the Obama administration. I don’t think you can say the same about Kanye West and Serena Williams.